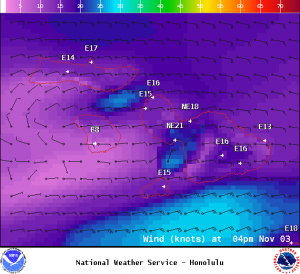 A Small Craft Advisory is posted for the ʻAlenuihāhā channel through 6 p.m. Thursday. 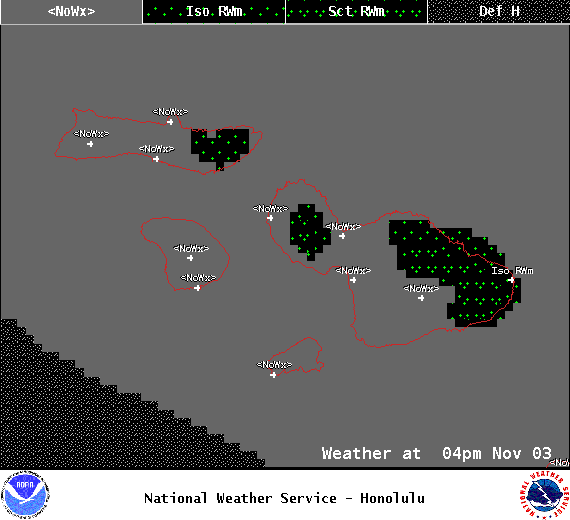 Check our breaking news section for any urgent weather alerts. 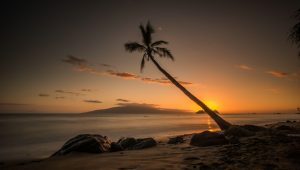 Increasing trade winds are expected to fill in from east to west across the island chain by mid week, with breezy trades expected to continue through the upcoming weekend and into early next week. Partly cloudy skies are expected today with scattered windward and mauka showers and isolated leeward showers. 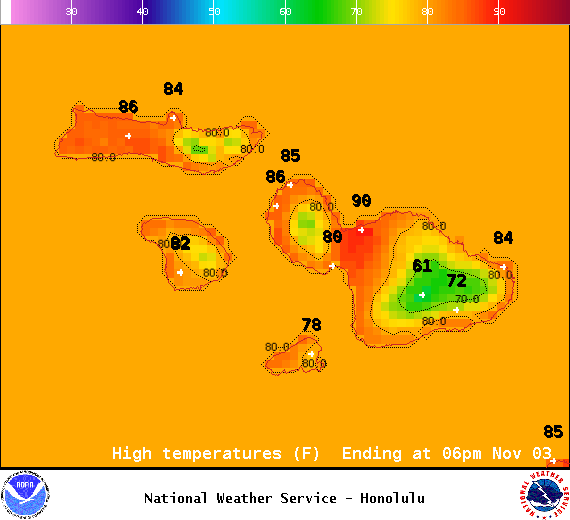 High temperatures from 85° to 90°. 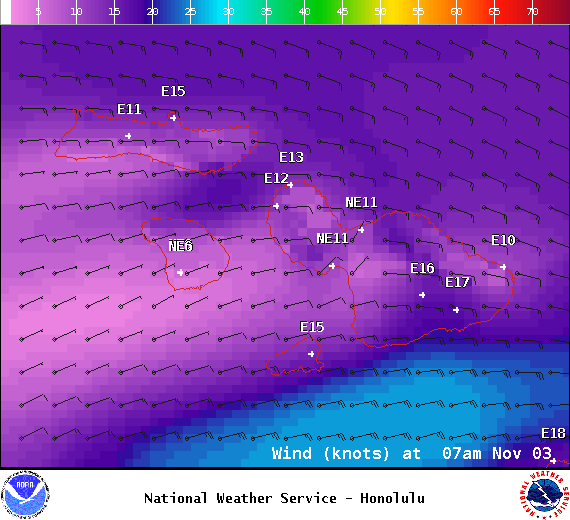 East winds are forecast from 15 to 20 mph with higher gusts. We could still see some haze lingering. East winds are expected from 15 to 20 mph. 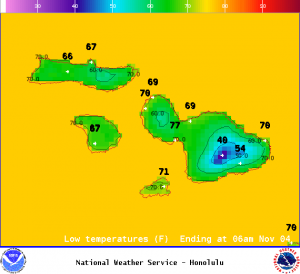 Low temperatures from 70° to 76°. 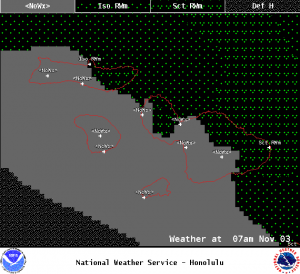 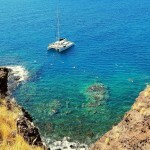 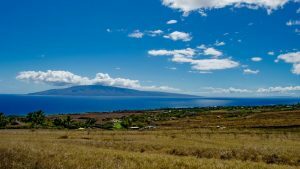 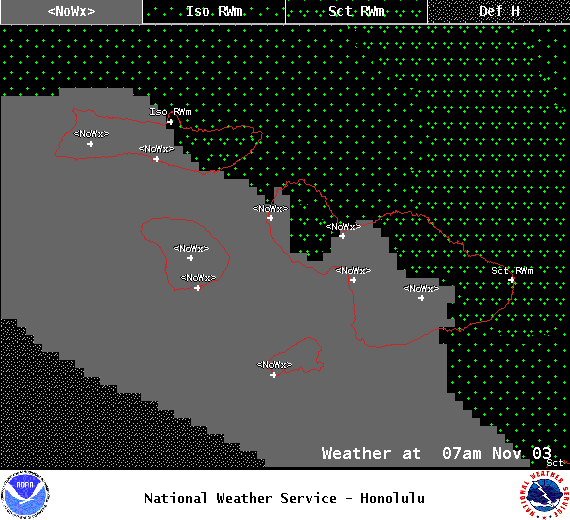 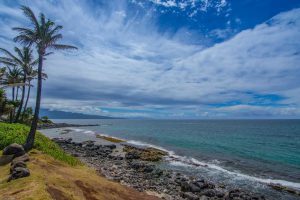 Scattered windward and mauka showers are forecast with partly to mostly cloudy skies. 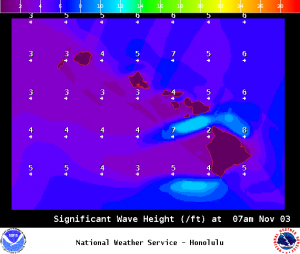 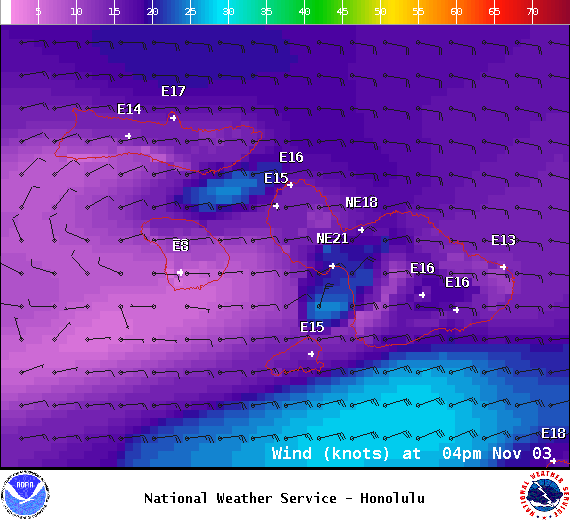 Leeward side should be pretty dry.